This post was originally published in the community tutorials section of Semaphore CI, the hosted continuous integration and deployment service. BDD (Behavior Driven Development) is a complicated subject for many developers, and getting started with it the right way often does not come easy – especially when needing to implement it into existing frameworks. This tutorial aims to help you get a BDD-powered Laravel project up and running in very little time, introducing you to the basic concepts and workflow you’ll need to proceed on your own. We’ll be installing and using Behat and PhpSpec. In the tutorial, we assume you’re working on a Unix system and have basic theoretical knowledge of what BDD is about, but little or no practical experience. 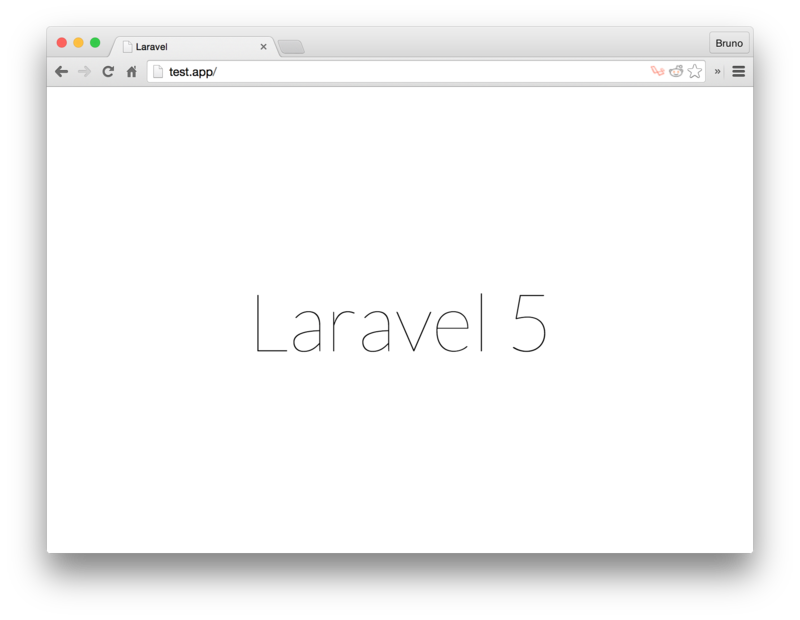 The sample application is now created, and should greet you with “Laravel 5” if you visit the root of the app. Several packages are required in order to make Behat play well with Laravel. Let’s install them all into our application’s development environment (with the --dev flag) and explain each. behat/behat is the main package for Behat. The behat/mink package is used to emulate a browser, so we can have the test suite check our URLs and their output. behat/mink-extension is the glue for Mink and Behat, and the last package, behat-laravel-extension is Jeffrey Way’s own implementation of Behat bindings, specifically made for Laravel. Behat uses definitions from the auto-generated FeatureContext class to understand what we’re testing for – phrasing like “Given that I’m on the URL this and that…”. To get some typical browser-related definitions, we make sure the FeatureContext class extends the MinkContext class which contains them. Features are what we test for with Behat. We write them out as human readable stories, and expect the test suite to not only understand them, but also to make sure they work. Every feature begins with such a description. This is for humans only – the test suite is not intended to understand this. Then follow the Scenarios – the specific, computer-readable steps the suite should follow. Immediately beneath it and another indentation level in, the scenario will have specific instructions for Behat to follow. These instructions are parsed from definitions we defined in the FeatureContext class. In our case, we defined them by extending MinkContext. In other words, two phrases will trigger this: Given I am on the homepage and When I am on the homepage. The function will simulate a visit to the root URL: /. See a full list of available assertions here. PhpSpec is more and more a common replacement for PHPUnit in people’s arsenals. Laravel does come with PHPUnit, but that doesn’t mean there’s no room for replacing or supplementing it with PhpSpec. In addition, PhpSpec helps with scaffolding of tests and classes, and with mocking. We’ll see how in another, more in-depth tutorial, but for now let’s install and set it up, then go through some basics. Again, we can add the installed executable to our path, so it’s runnable without the vendor/bin prefix. Either execute the command below to do so (modify the paths to match yours), or just add the whole vendor/bin folder to your path – which ever way you prefer. Do you want me to create `bddsetup\Calculator` for you? The two definitions in the Summing scenario do not exist. We need to add them into the FeatureContext so that Behat can understand them. An easy way to generate empty snippets for us to fill out is by using the --append-snippets command. Behat automatically extracted the arguments it recognized. This means the methods (and by extension the definitions) are flexible – we can alter the parameters as we see fit. Let’s fill those stubs out now. Do you want me to create `bddsetup\Calculator::sum()` for you? Do you want me to create `bddsetup\Calculator::result()` for you? At the same time, the run fails because the methods don’t do what they’re expected to do. This is perfectly fine. Let’s edit the Calculator class and implement them completely now. With powerful BDD tools such as Behat and PhpSpec in place, writing out stories and testing your classes for future upgrades becomes a breeze rather than a tedious night of writing mocks.